To place a registration by phone please call (916) 641-5795 ext 113.
receive $50 OFF each registrant. Applies to online registrations only. Continuing Education Credits will be provided to participants who view the program in its entirety. Provider approved by the California Board of Registered Nursing (Provider # CEP2463) for up to eighteen (18) contact hours of continuing education. No partial credits can be given. After course registration and payment has been submitted and received by CAHSAH, you will receive a confirmation email containing a Course Syllabus. You will be asked to review and sign the Course Syllabus and return to CAHSAH. Submission of your signed Course Syllabus is required before you can begin the on-demand course. Once CAHSAH has received your signed Course Syllabus, you will receive email instructions for logging into your course (your username, password, and link to the on-demand portal), and the course manual will be shipped to you in 2 business days. If you do not receive a confirmation email within 48 hours of registering for an on-demand course, please contact the CAHSAH registrar at 916-641-5795 ext. 113 or registrar@cahsah.org. The course can be accessed 24 hours a day, seven days a week from any device that has internet connection. 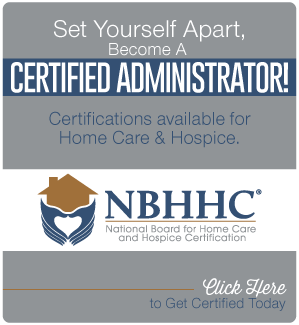 The On-Demand HACP comes with a three (3) month subscription to the content. This program is designed to be completed within the designated subscription length. However, we understand that circumstances arise that may prevent timely completion. If additional time is required to complete your program, extensions can be purchased in two week increments for $100 each. Extensions must be requested in writing to the CAHSAH registrar prior to your original subscription expiration date. There cannot be any lapse in enrollment between original subscription and extensions. No exceptions will be made to this policy. No cancellations or refunds will be issued once user login information has been sent. Unfortunately, due to the online format of this program we are unable to offer exceptions to this policy. 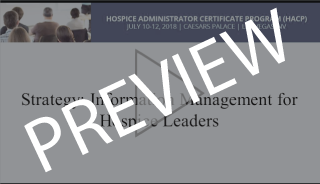 It is recommended that each registrant review the course content prior to submitting payment to ensure the content meets individual educational needs.